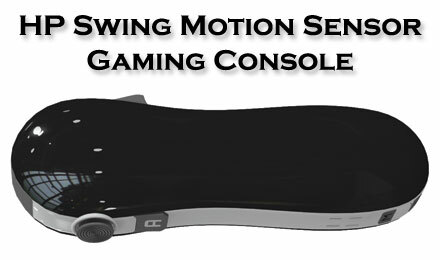 Hewlett-Packard, a leading manufacturer of PC and other accessories all round the world has put their feet in the gaming world by lauching HP Swing a motion Sensor gaming console, and guess what HP is offering this new technology of their HP Swing with every Pavillion desktop PC. If you are thinking of buying a desktop Pc for yourself than go for this as you will be geting your hand on these latest technology. H is aiming to create a storm in the gaming world and make their presence feel in the industry by providing the gamnig experience never felt before on PC.